Are You Really Studying Tai Chi and Is It Effective for Stress? 1. What is Classical Tai Chi (Taiji)? Only the Yang style will be discussed. However, similar types of training were used in other classical styles (Chen, Wu and Sun), since these were also internal forms of Kung Fu for health and self defense. These styles have also been altered and shortened. The original (old) Yang Tai Chi form was devised by Yang Lu-Chan (1799 – 1872) and consisted of about 128 postures, not counting repetitions. It had both fast and slow movements in it. One of the purposes of the fast movements was to teach fa-jing, small, explosive movements to generate tremendous power in punches, kicks, etc., for self defense. The (new) long form, practiced by most Yang stylists today, was derived from the Yang Lo – Sim form by Yang Cheng – Fu (1883 – 1936). He removed the fast fa-jing moves, all leaping kicks and made slightly different moves the same. It has about 108 postures. To learn the original form properly took about 5 or 6 years. Each move in the old form not only showed how to strike acupoints, but the proper direction for striking them, with devastating results. This could result in death of an adversary and was known as Dim Mak. However, learning the form was not enough for combat and so the following two-person exercises are practiced to learn how to attack and counter. Martial Push Hands (Toi Sau), consisting of countering punches, strikes, kicks, locks and throws (Chin Na). This is not the same as the modern, popular push hands, whose purpose is to push the opponent off-balance. Chi Sau (sticky hands) are also practiced, as well as Pushing Feet, in which only the feet are used to attack and defend. These exercises are mainly to train the student to combat single attacks. More complex exercises are used for continuous attacks, such as Da Lu (the Great Repulse) and Small San Sau (Free Hands). These exercises only use a small number of the techniques from the old form. Students then learn Pauchui (Cannon Fist), the remaining movements from the old form, done powerfully rapidly. Puchui consists of two different formulas, a fixed sequence of moves, which are practiced alone. Later, one student does one formula, while his opponent does the other so that they can practice a sequence of attacks and counters (Large San Sau) without stopping between techniques. At first, they practice slowly and then, gradually faster, with full power. Later, the techniques are applied randomly, leading to free sparring. Usually the Large San Sau is not taught until a student has practiced for at least four years. Weapons, such as the sword, spear, are also taught as solo forms and then, two-person sparring exercises. Lung (3-5 AM) → Large Intestines (5-7 AM) → Stomach (7-9 AM) → Spleen (9-11 AM) → Heart (11AM – 1PM) → Small Intestines (1-3 PM) → Bladder (3-5 PM) → Kidney (5-7 PM )→ Pericardium (7-9 PM) → Triple Energizer ( 9-11 PM ) → Gallbladder ( 11PM – 1AM) → Liver (1 – 3 AM) → Lung ….. Performing the old Yang form causes your Qi to flow through the Horary Cycle 3 times, energizing the body and helping balance your Qi flow. In addition, each posture in the Yang form can be practiced alone as a Qigong exercise to treat various conditions in the body –for example, holding the single whip posture is beneficial to the joints. In addition, greater difficulty than normal in doing a certain posture can be used to diagnose diseases. Most people cannot learn to relax sufficiently by only doing the solo form. Practicing the two-person exercises is required. In addition, practicing the San Sau form can energize the practitioners if the acupoints are struck lightly. In classical Tai Chi, the goal was not to just to make students warriors, but also healers. Dim Mak is not studied just for self defense to injure people. Techniques for resuscitating attackers and treating accidental practice injuries must also be learned. 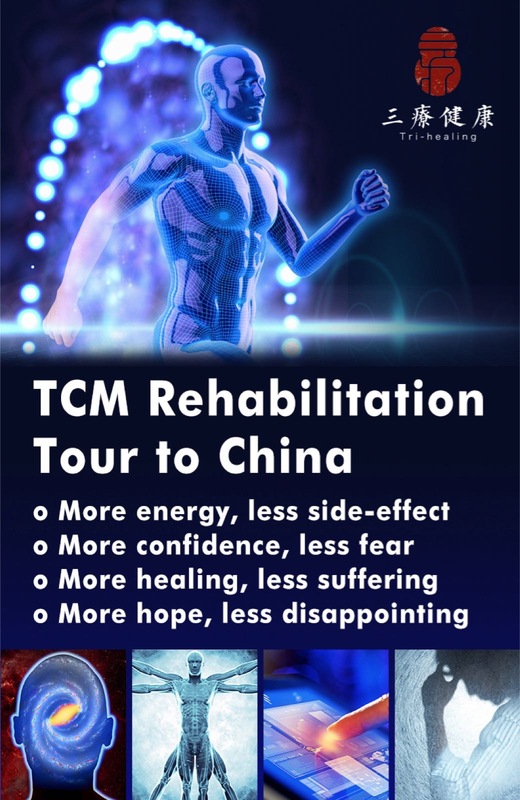 Moreover, the same Dim Mak technique, when done gently and with a healing mind –set can be used to treat diseases. Auxiliary Qigong training, which includes holding postures, is also an integral part of training. 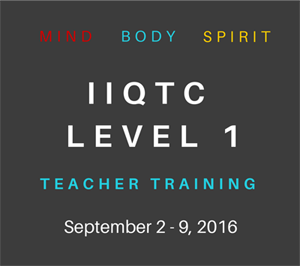 This helps students increase their internal energy, learn to feel Qi, helps relaxation, rooting, and projecting Qi. External Qi healing is also taught. Classical Tai Chi takes years of dedicated study. It is very difficult to learn in modern times because of many distractions. 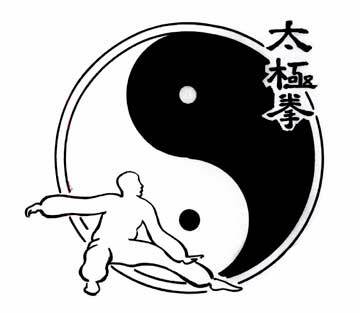 To teach Tai Chi to the masses, several different shorter versions of the new, long, Yang Ching – Po have been devised such as: the Beijing 24 movement version, Chen Man-ching 37 movement form, the 42 movement competition form developed by the Chinese National Wushu Association, and a 48 movement Yang style version by the Chinese National Athletic Association. There is even a fast set version developed by Master Dong Ying-jie. Practicing the old Yang style probably has more health benefits than practicing a modern, shorter version simply because there are more varied movements in the old form. It is unlikely that the short form causes the Qi to flow 3 times through the Horary Cycle, because different movements influence the Qi flow in different ways and many movements are omitted. There are also many principals for doing the postures correctly. In some modern, shorter versions, these principals are not obeyed. Even if the student is taught the principals and has them memorized, it takes years before they can be performed correctly. Tai Chi research is usually not done on all parts classical Tai Chi as described above, but only some shortened version or even a few postures from some solo form. The results should really be entitled the effects of trying to learn Tai Chi, since the research is usually carried out for months and not years. Beginning students are not doing real Tai Chi and so using a control group that danced or walked might give similar results as doing Tai Chi (9). Further studies, using a walking control group as in (21), should be done. 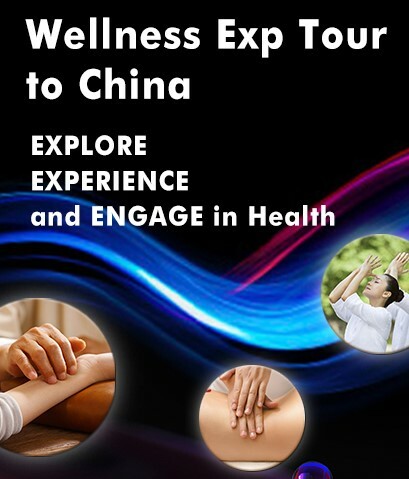 The Chinese medical health benefits, such as the Horary Cycle effect and postures used as Qigong, have been passed on from Master to student without explanation or justification in terms of traditional Chinese medical theory. Clinical trials have not been carried out to justify all of these claims. 2. Is Tai Chi a Form of Qigong? The movements in the solo Tai Chi form cause the Qi to circulate. A Tai Chi expert can feel the Qi circulate and after years of practice the circulation of Qi produces the movements. Thus, Tai Chi can be considered to be a form of Qigong according to the Qi definition of Qigong (1). The first definition of Qigong is not suitable for research, since the exact nature of Qi is unknown. However, Tai Chi is a self-training technique or process that integrates the body posture, breathing, and mentality into oneness to achieve the optimal state for both body and mind. Thus, Tai Chi is a form of Qigong according to the second definition in (1). Sandlund and Norlander (3) reviewed more than 20 studies published from 1996to 1999 on the effects of Tai Chi on stress response and well-being and concluded that, although the slow-movement Tai Chi may not achieve aerobic fitness, it could enhance flexibility and overall psychological well-being. Tai Chi exercises led to an improvement of mood. The researchers concluded that all studies on the benefits of Tai Chi have revealed positive results and that Tai Chi was an effective way to reduce stress. Wang, Collet, and Lau (4) reviewed general health outcomes of Tai Chi. Among the six studies they reviewed with psychological measures, five reported positive or significant effects of Tai Chi on reducing stress and anxiety. However, biases existed in some of the studies, and it was difficult to draw firm conclusions about the benefits reported. Therefore, more well-designed studies are needed in the future. The review (5) states that the majority of studies on Tai Chi conducted between 1996 and 2004 had focused on health and well being of Tai Chi exercise for senior adults. The results show that Tai Chi may lead to improved balance, reduced fear of falling, increased strength, increased functional mobility, greater flexibility, and increased psychological well-being, sleep enhancement for sleep disturbed elderly individuals, and increased cardio functioning. Jin (7) conducted one of the first studies to examine the effects of Tai Chi (new long Yang and Wu forms) on the endocrine system. Changes in psychological and physiological functioning following participation in Tai Chi were assessed for 33 beginners (8 months or less experience) and 33 practitioners (more than a year’s experience). The variables in the three-way factorial design were experience (beginners vs. practitioners), time (morning vs. afternoon vs. evening), and phase (before Tai Chi vs. during Tai Chi vs. after Tai Chi). Phase was a repeated measures variable. Relative to measures taken beforehand, practice of Tai Chi raised heart rate, increased noradrenaline excretion in urine, and decreased salivary cortisol concentration. Relative to baseline levels, subjects reported less tension, depression, anger, fatigue, confusion and state-anxiety, they felt more vigorous, and in general they had less total mood disturbance. Heart rate for practitioners was higher than that for beginners. Jin attributes this effect to the lower stance and more controlled form of experienced practitioners. The data suggest that Tai Chi results in gains that are comparable to those found with moderate exercise. There is need for research concerned with whether participation in Tai Chi has effects over and above those associated with physical exercise. A later paper by Jin (9) investigated this query. The study (9) compares the stress-reducing attributes of Tai Chi to those of brisk walking, meditation, and sitting and reading. There was no difference in the magnitude of cortisol reduction between the Tai Chi group and the other three groups. Hence, an additive effect of the physical exercise component and the cognitive exercise component in the practice of Tai Chi is not evident. In Wang et al.’s recent review (4) of Tai Chi, four studies (two with randomized control) were discussed in terms of its effects on hypertension, and all of them reported that it significantly decreased blood pressure among hypertensive patients. The results in (11) suggest that light activity and moderate intensity aerobic exercise have similar effects on BP in previously sedentary elderly individuals. If future trials with large sample size and a no-exercise control group confirm these results, promoting light intensity activity could have substantial public health benefits as a means to reduce BP. This study (13) examined the effects of Tai Chi vs. aerobic exercise for victims of heart attacks, comparing them to a cardiac support group as control. Resting heart rate declined in the Tai Chi group, but curiously, not in the aerobics group in this study. Both the Tai Chi and aerobics groups showed a drop on systolic blood pressure, but only the Tai Chi group showed a drop in diastolic blood pressure. Wang et al. (4) reviewed 16 studies of Tai Chi in patients with cardiorespiratory conditions and reported that its regular practice will delay the decline of cardiorespiratory function in older adults and might be prescribed as a suitable exercise. One of the few studies to focus on serious Tai Chi practitioners, mostly people in their 60’s, who had been practicing the new Yang Long form for 3-10 years, appears in (10). They practiced 3-7 times a week, with an average frequency of 5 times a week. A fairly rigorous practice: 20 minutes of warm-up exercises, 24 minutes of practicing the form paced by the Master, and 10 minutes of cool-down. This study compares these Tai Chi practitioners to a group of sedentary peers matched for age and body size, and looks at cardiorespiratory declines over a two-year period. It has some heart rate profiles that seem to indicate moderate aerobic benefit in older practitioners (this benefit has not been demonstrated in younger subjects). The study (18) concluded that Tai Chi was a culturally appropriate mind-body exercise for older adults with cardiovascular risk disease factors. Statistically significant psychosocial benefits were observed over 12-weeks. Further research examining Tai Chi exercise using a randomized clinical trial design with an attention-control group may reduce potential confounding effects, while exploring potential mechanisms underlying the relaxation response associated with mind-body exercise. In addition, future studies with people with other chronic illnesses in all ethnic groups are recommended to determine if similar benefits can be achieved. The authors were unaware of an earlier study (19) on the beneficial effects of Tai chi for dialysis patients. This research (21) compared the effects of a short style of Tai Chi versus a brisk walking training program on aerobic capacity, heart rate variability (HRV), strength, flexibility, balance. They found Tai Chi to be an effective way to improve many fitness measures in elderly women over a 3-month period It was also significantly better than brisk walking in enhancing certain measures of fitness, including lower extremity strength, balance and flexibility, psychological status, and quality of life. Twenty patients with coronary heart disease were recruited for the study (28). Ten patients practiced supervised Tai Chi training once a week and home-based Tai Chi training three times a week, together with conventional cardiac rehabilitation for one year. The control group only received the conventional cardiac rehabilitation. The patients in the Tai Chi group showed statistically significant improvement in baroreflex sensitivity. The researchers concluded that Tai Chi training is beneficial in the treatment of coronary heart disease. Pain and fatigue significantly decreased in the experimental group in (14). However, the improvement in daily life performance of the rheumatoid arthritis patients was not statistically significant but their sense of balance was enhanced significantly. Sun-style Tai Chi exercise (6) was found as beneficial for women with osteoarthritis to reduce their perceived arthritic symptoms and to healthier behavior. In the short term study (15), the beneficial outcomes for Tai Chi group and aquatic group were significantly better than the self-help group. Tai Chi may be more suitable than aquatic exercise for osteoarthritis. Further longitudinal studies are necessary to confirm these results. Similar conclusions were reached in another study (16) comparing Tai Chi and an aquatic group for rheumatoid arthritis. The results (17) suggest Tai Chi does not exacerbate symptoms of rheumatoid arthritis. In addition, Tai Chi has statistically significant benefits on lower extremity range of motion, in particular ankle range of motion, for people with RA. The included studies did not assess the effects on patient-reported pain. The objective of this systematic review (25) is to evaluate data from controlled clinical trials testing the effectiveness of Tai Chi for treating rheumatoid arthritis (RA). Systematic searches were conducted on Medline, Pubmed, AMED, British Nursing Index, CINAHL, EMBASE, PsycInfo, The Cochrane Library 2007, Issue 1, the UK National Research Register and ClinicalTrials.gov, Korean medical databases, Qigong and Energy Medicine Database and Chinese databases up to January 2007. Collectively this evidence is not convincing enough to suggest that Tai Chi is an effective treatment for RA. The value of Tai Chi for this indication therefore remains unproven. In (20), significant improvements in trait anxiety, pain perception, mood, flexibility, and balance were obtained. These may have a profound effect on the incidence of falls, injuries, resulting disability, and overall quality of life. The study (22) aimed to assess the usefulness of two interventions in a group rehabilitation medicine setting and to determine strategies and exercise guidelines for long-term care of the HIV/AIDS population with human immunodeficiency virus (HIV) and/or acquired immunodeficiency syndrome (AIDS). It concluded that that Tai Chi and exercise improve physiologic parameters, functional outcomes, and quality of life. Group intervention provides a socialization context for management of chronic HIV disease. Further long and short term studies are required. The effects on blood pressure, lipid profile, and anxiety status on subjects in a 12-week Tai Chi Chuan exercise program were studied (23). It concluded that Tai Chi exercise training could decrease blood pressure and results in favorable lipid profile changes and improve subjects’ anxiety status. Therefore, Tai Chi could be used as an alternative modality in treating patients with mild hypertension, with a promising economic effect. Another paper on the beneficial effect of Tai Chi on depression in older individuals appears in (26). At rest the total number of T-lymphocytes and the number of active T-lymphocytes were increased significantly in the exercise group compared with the controls (8). Immediately after a bout of Tai Chi (88 style), a marked increase of active T-lymphocytes occurred. In conclusion, the results indicate that frequent Tai Chi exercise causes an increase of T-lymphocytes in the blood. According to a new study (24), Tai Chi may help older adults avoid getting shingles by increasing immunity to varicella-zoster virus (VZV) and boosting the immune response to varicella vaccine in older adults. Tai Chi alone was found to increase participants’ immunity to varicella as much as the vaccine typically produces in 30- to 40-year-old adults, and Tai Chi combined with the vaccine produced a significantly higher level of immunity, about a 40 percent increase, over that produced by the vaccine alone. The study further showed that the Tai Chi group’s rate of increase in immunity over the course of the 25-week study was double that of the health education (control) group. The Tai Chi and health education groups’ VCV immunity had been similar when the study began. In addition, the Tai Chi group reported significant improvements in physical functioning, bodily pain, vitality and mental health. Both groups showed significant declines in the severity of depressive symptoms. study (27) was intended to examine whether 5 months of moderate Tai Chi and Qigong (TQ) practice could improve the immune response to influenza vaccine in older adults. It concluded that traditional TQ practice improves the antibody response to influenza vaccine in older adults. However, further study is needed to determine whether the enhanced response is sufficient to provide definitive protection from influenza infection. 1. Eisen, M., Qigong and Taiji application in stress management. 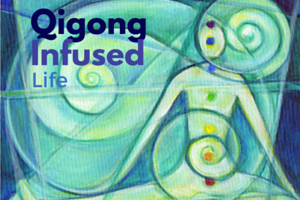 Part 2: Qigong for stress, Qi Dao, Jan. – Feb., 2008. 2. Achiron, A., Barak, Y., Stern, Y., Noy, S. Electrical sensation during Tai-Chi practice as the first manifestation of multiple sclerosis,” Clinical Neurology and Neurosurgery, 99, 280-281, 1997. 3. Sandlund, E. S., & Norlander, T. The effects of Tai Chi Chuan relaxation and exercise on stress responses and well-being: An overview of research. International Journal of Stress Management,7(2), 139–149, April 2000. 4. Wang, C. C., Collet, J. P., & Lau, J. The effect of Tai Chi on health outcomes in patients with chronic conditions. Archive of Internal Medicine, 164, 493–501, 2004. 5. Kuramoto, A. M. Therapeutic benefits of Tai Chi exercise: research review. WMI, 6, 105(7), 42-6, Oct. 2006. 6. Song, R., Lee, E.O., Lam. P. Bae, S.C. Effects of a Sun-style Tai Chi exercise on arthritic symptoms, motivation and the performance of health behaviors in women with osteoarthritis. Taehan Kanho Hakhoe Chi, 37(2),249-56, March 2007. 7. Jin, P.. Changes in heart rate, noradrenaline, cortisol and mood during Tai Chi. Journal of Psychosomatic Research, Vol. 33, No. 2, 197-206, 1989. 8. Sun, X., Xu Y., Xia Y. Determination of E-rosette-forming lymphocytes in aged subjects with Taichiquan exercise. Int J Sports med, Vol.10, No 3, 217-219, 1989. 9. Jin, P. Efficacy of Tai Chi, brisk walking, meditation, and reading in reducing mental and emotional stress. Journal of Psychosomatic Research, Vol. 36, No. 4, 361-370, 1992. 10. Lai, J., Lan, C., Wong, M., and Teng, S. Two-year trends in cardiorespiratory function among older Tai Chi Chuan practitioners and sedentary subjects. Journal of the American Geriatric Society, Vol. 43: 1222-1227, 1995. 11. Young, D.R., Appel, L.J., Jee, S. The effects of aerobic exercise and T’ai Chi on blood pressure in the elderly,”, Circulation v. 97(#8), 54-P54, March 3, 1998. 12. Gong, L, Qian J., Zhang J., Yang Q., Jiang J., and Tao Q. Changes in heart rate and electrocardiogram during Taijiquan exercise; analysis by telemetry in 100 subjects. Chinese Medical Journal 94(9), 589-592, 1981. 13. Channer, K.S., Barrow, D., Barrow, R., Osborne, M., and Ives, G. Changes in haemodynamic parameters following Tai Chi Chuan and aerobic exercise in patients recovering from acute myocardial infarction. Postgraduate Medical Journal, 349-351, 1990. 14. Lee, K.Y. and Jeong, O. Y. The effect of Tai Chi movement in patients with rheumatoid arthritis. Taehan Kanho Hakhoe Chi, 36(2),278-85, 2006. 15. Lee, H.Y. Comparison of effects among Tai-Chi exercise, aquatic exercise, and a self-help program for patients with knee osteoarthritis. Taehan Kanho Hakhoe Chi, 36(3), 571-80, 2006. 16. Kirsteins, A.E. ; Dietz, F.; Hwang, S.M. Evaluating the safety and potential use of a weight-bearing exercise, Tai-Chi Chuan, for rheumatoid arthritis patients. Am. J. Phys. Med. Rehabil., 70(3), 136-41, 1991. 17. Han, A., Robinson, V., Judd, M., Taixiang, W., Wells G.; Tugwell, P. Tai Chi for treating rheumatoid arthritis. Cochtane Database Syst. Rev., (3), CD004859, 2004. 18. Taylor-Piliae, R.E., Haskell, W.L., Waters, C.M. ; Froelicher, E.S. J. Adv. Nurs., 54(3), 313-29, 2006. 19. Mustata, S., Cooper, L., Langrick, N., Simon, N., Jassal, S.V,; Oreopoulos, D.G. The effect of a Tai Chi exercise program on quality of life in patients on peritoneal dialysis: a pilot study. Perit. Dial. Int., 25(3), 291 – 4, 2005. 20. Ross, M.C., Bohannon, A.S., Davis, D.C.; Gurchiek, L. The effects of a short-term exercise program on movement, pain, and mood in the elderly. Results of a pilot study. J. Holist. Nurs., Jun;17(2):139-47, 1999. 21 Audette, J.F., Jin, Y.S. , Newcomer, R., Stein, L. Duncan G., Duncan, G.; frontera, W.R. Tai Chi versus brisk walking in elderly women. Age Aging. Jul;35(4),388-93, 2006. 22. Galantino, M.L., Shepard, K., Krafft, L., Laperriere, A., Ducette, J., Sorbello, A., Barnish, M., Condoluci, D.; Farrar JT. The effect of group aerobic exercise and t’ai chi on functional outcomes and quality of life for persons living with acquired immunodeficiency syndrome. J. Altern. Complement. Med. Dec;11(6),1085-9, 2005. 23. Tsai JC, Wang WH, Chan P, Lin LJ, Wang CH, Tomlinson B, Hsieh MH, Yang HY, Liu JC. The beneficial effects of Tai Chi Chuan on blood pressure and lipid profile and anxiety status in a randomized controlled trial. J Altern Complement Med. Oct;9(5):747-54, 2003.
zoster virus in older adults: A randomized, controlled trial of Tai Chi. Journal of the American Geriatrics Society, Volume 55,4, 511–517, April 2007. 25. Lee et al. Tai chi for rheumatoid arthritis: systematic review. Rheumatology (Oxford), Nov., 46(11),1648-51, 2007..
26. Chou, K.L., Lee, P.W., Yu, E.C., Macfarlane, D., Cheng, Y.H., Chan, S.S.; Chi, I. Effect of Tai Chi on depressive symptoms amongst Chinese older patients with depressive disorders: a randomized clinical trial. Int J Geriatr Psychiatry, Nov;19(11):1105-7, 2004. 27. Yang Y, et al. Effects of a Taiji and Qigong intervention on the antibody response to influenza vaccine in older adults. Am J Chin Med. 35(4), 597-607, 2007. 28. Sato, S., et al., Effect of Tai Chi training on baroreflex sensitivity and heart rate variability in patients with coronary heart disease. Int. Heart J., 51(4): 238-41, July 2010. This entry was posted in Scientific Qi Exploration and tagged arthritis, chi, Chi Kung, chin na, health, Kung Fu, Martial Arts, push hands, Qi, Qigong, seniors, spear, staff, Stress, sword, tai chi, weapons. Bookmark the permalink. So glad Kevin shares the research in this easily accessible way here on Facebook. Thanks! As someone who is currently learning the Original Yang form, I found this to be an incredibly fascinating article. Thanks for the wonderful insight. Do you mean the original (old) Yang Tai Chi form which was devised by Yang Lu-Chan (1799 – 1872) and consisted of about 128 postures, not counting repetitions. It has both fast and slow movements in it. Martin, sorry, as a former English teacher, I felt compelled to comment! 🙂 If your comment is purely on grammar, then no, your comment is incorrect, as by adding the word “which,” you are creating a dependent clause, which would need a verb after the clause (“not counting repetitions is a gerund phrase, not a verb). The original (old) Yang Tai Chi form which was devised by Yang Lu-Chan (1799 – 1872) and consisted of about 128 postures, not counting repetitions, had both fast and slow movements in it. Does the form you are learning contain both fast and slow movements? Tai chi is a martial art that is primarily practiced for its health benefits, which includes a means for dealing with tension and stress. It emphasizes complete relaxation, and is a form of meditation, or what some call “meditation in motion.